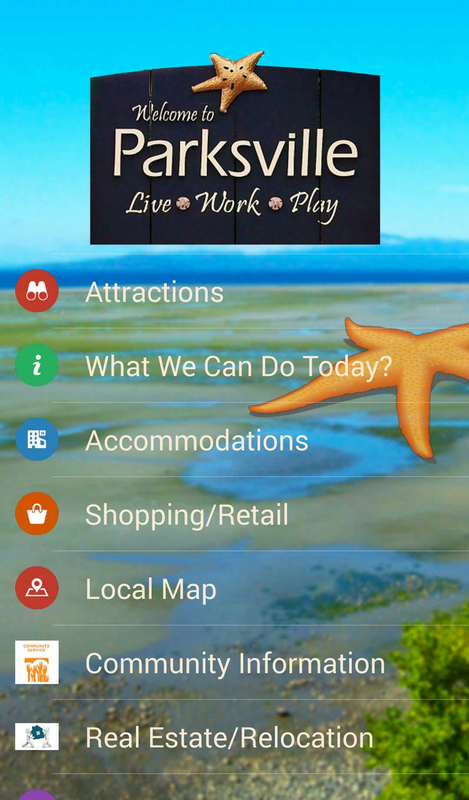 Working with the Parskville Chamber of Commerce E-Port created a new software program that resembles a mobile app. 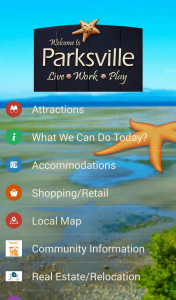 The user can view and interact with: Attractions, Accommodations, Restaurants, Events, and live feeds from weather, airport and road conditions and have a link to Destination BC website. All home navigation buttons lead to more information and the ability for the user to download info onto their mobiles. Parksville placed their new kiosk in a high traffic area in the local super market.